Ergonomic design : seamless upholstery standard. 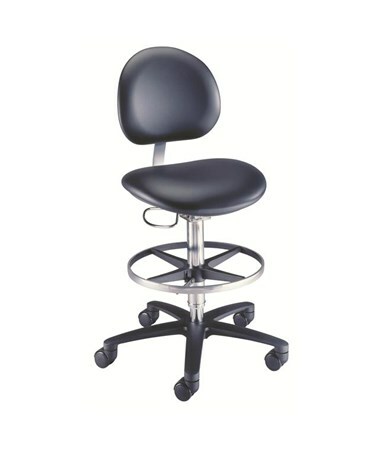 Brewer 21520B / 21521B Millennium Laboratory Stools are designed to meet the needs of any clinic, hospital or laboratory. The Brewer Laboratory Stool features an 18.5 inch contour seat, pneumatic height adjustment and 23 inch power coated, black aluminum base. 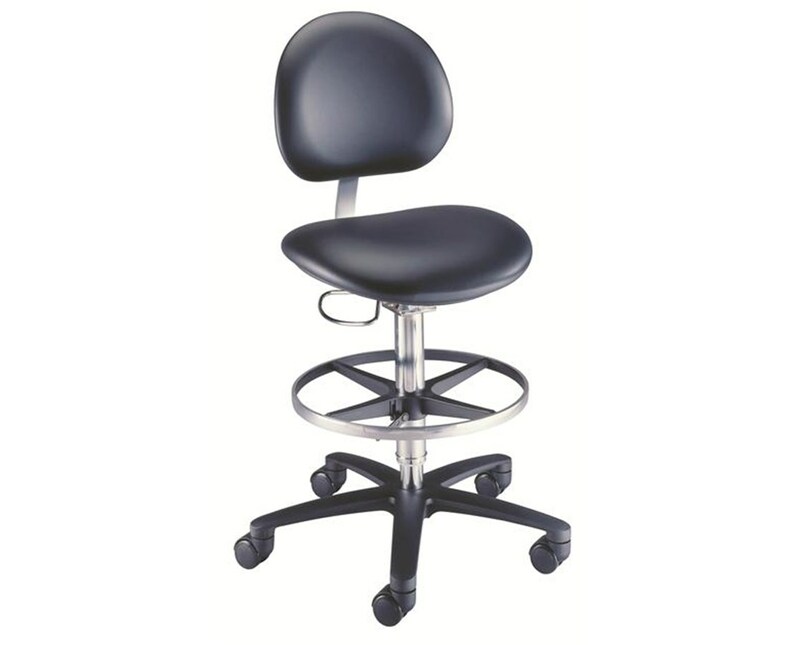 Brewer Millennium Lab Stools are available with or without glides making them ideal for medical and laboratory work. The 21520B Laboratory Stool with glides allows the chair to slide and not roll and has a height adjustment range of 20.75" to 31". The Brewer 21520B is perfect for work requiring very controlled hand manipulation or fine dexterity. The Brewer 21521B Lab Stool has a height adjustment range of 21.75" to 32" also features heavy duty 55 mm dual wheel nylon hooded casters. Though the styles vary, both the 21520B and the 21521B, feature an adjustable contoured backrest with black plastic shroud, an 18" foot ring and seamless upholstery available in a variety of color options. The weight capacity of the 21520B and 21521B Laboratory Stool is 250 pounds and come with a 5 year warranty. All Brewer products conform to US and Canadian electrical and medical industry codes and regulations. 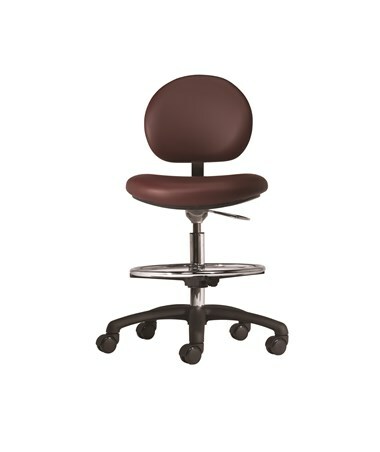 The Laboratory Stool is available with or without glides and/or casters, and the upholstery comes in a variety of standard colors (please specify which color you would like in the "Special Note" section during checkout). Select from the drop down menu above and order online direct by clicking "add to cart!" conform to US and Canadian electrical and medical industry codes and regulations. 23" five-leg powder-coated black aluminum base.